Diversity leaders are the modern Sisyphus, and we must thank them for that. Greek mythology tells the story of Sisyphus, who was punished by the gods for his misdeeds by being forced to roll an immense boulder to a mountain top, only to watch it come tumbling back down, repeating this action for eternity. Like any other office holder in the organization, they also deal with reality. Marketing directors are forced to handle consumers and trends, sales directors face uncooperative decision-makers and diversity leaders, well, what they need to deal with goes without saying. But, unlike any other officer holder in the organization, diversity leaders need to fight to justify their position. Even though they were probably appointed by the CEO or the board, this does not necessarily mean that everyone in the organization believes in their role. They are not marketing, sales, development or human resources directors. Their position is still not perceived as being closely correlated with business performance. And while it is true that studies conducted by McKinsey have definitely established this correlation, let’s be honest, even today, in 2017, D&I does not necessarily equal ROI. That is why every morning those same diversity leaders, whether they are VPs, directors, managers or consultants, wake up and need to roll that boulder back up the mountain. To justify their existence, to explain the importance, to provide answers and to handle difficult questions. Every time anew. Their journey does not end there. A company is a very dynamic entity. Something is always happening, things constantly change. And the human fabric adjusts accordingly. With each new employee or director who joins the company, a fresh start is needed. And each one who leaves the company also takes with them the diversity leader’s past success stories. Every achievement and accomplishment by these diversity leaders is always under threat of extinction. That boulder will come tumbling back down at any moment now. 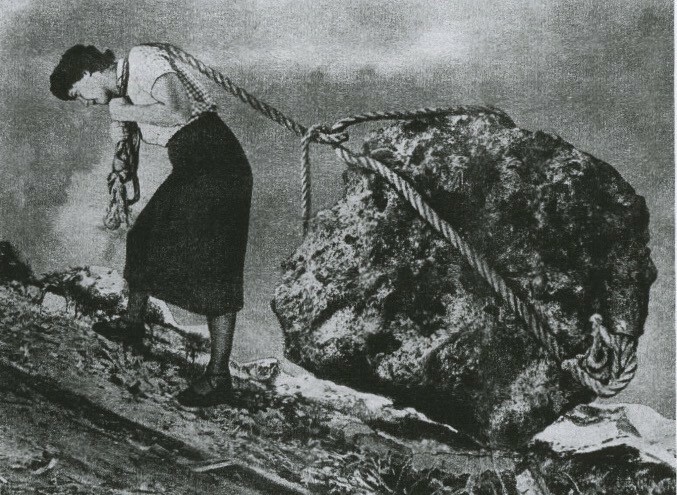 Sisyphus’s punishment is the origin for the phrase ‘Sisyphean task’, meaning an arduous, laborious and ultimately perpetual task, which repeats itself over and over again without purpose. It can’t be said that the work performed by diversity leaders has no purpose, quite the contrary — this is probably the most important purpose for all of human society. And still, to take on this role, under these conditions, with such low chances of success, is no trivial matter. And for this, we must thank them.